A firm favourite for summertime promotions and company giveaways, this super absorbent innovative towel makes it a great option for the beach, pool, gym or spa. 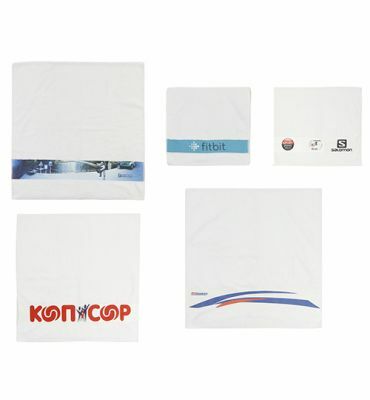 The promotional possibilities of this eye-catching towel are endless, with the option to print edge to edge logos, or photographic images and custom designs. The results for brands are stunning with fantastic detail and amazing vibrant colours. We digitally print onto ultra-smooth 100 % polyester microfiber on one side, with a soft and absorbent cotton terry loop on the reverse. Budget friendly, they suit a wide range of marketing, event and club requirements. Be creative and you’ll love the results!